Interesting Facts: Anorith is an aquatic, arthropod-like, greenish-gray Pokémon that uses the eight flexible, white-and-red appendages on both sides of its body to propel itself through the water. Its large head has two large, beady eyes extending from the side, and in the middle of the head is a round black pattern with two red spots. Two large, segmented claws protrude from below its head, serving as either defense against predators or a weapon against prey. These claws seem to have become the Fossil that Anorith can be resurrected from. Anorith’s carapace is gray, and its tail is small with two gray spikes. Its mouth is on the underside of its body, and resembles a screw in shape. NOTES: The model is built into two segments: head and body. Build the head starting at the front and closing at the back. Add the details before closing. Start the body from the back to the front, closing where it connects to the head. Glue each wing at one tab. Join the head and the body after they are closed and all the details are glued. Further instructions on the template. 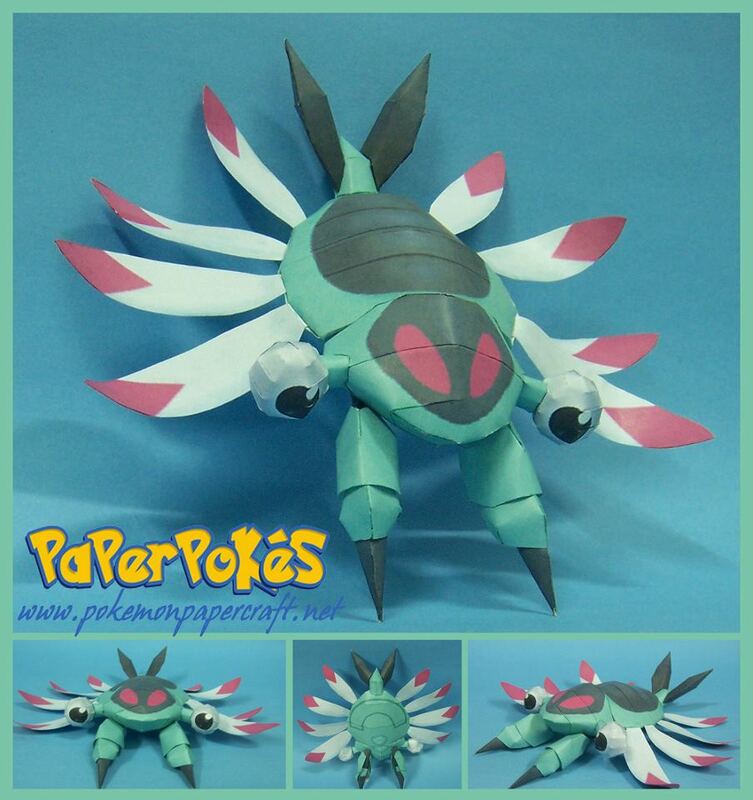 i love all youre paperpokes keep up this good work AND NOW U GUYS HAV FINALY MADE MY FAV POKE!! !